Need Capital or National Exposure for Your EdTech Company? We are honored to announce that Myron Pincomb has been named to the Board of Directors for SXSWedu. SXSWedu is a component of the South by Southwest family of conferences and festivals that includes SXSW Music, Film and Interactive; SXSW Eco and SXSW V2V. Internationally recognized as the convergence gathering for the creative arts, SXSWedu extends SXSW’s support for the art of engagement beyond musicians, filmmakers and new media innovators to include society’s true rock stars: educators! The annual SXSWedu® Conference & Festival fosters innovation in learning by hosting a diverse and energetic community of stakeholders from a variety of backgrounds in education. The four-day event affords registrants open access to engaging sessions, interactive workshops, hands on learning experiences, cinematic portrayals, early stage startups and a host of networking opportunities. 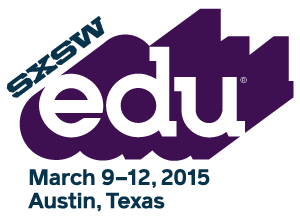 By providing a platform for collaboration, SXSWedu works to promote creativity and social change. Driven by the mashup of education stakeholders at SXSWedu, LAUNCHedu® has become an exciting destination to preview what’s next and new in learning. The fourth annual LAUNCHedu startup competition will take place March 9-12, 2015 in Austin, Texas. The LAUNCHedu Application is now open. Early-stage startups seeking feedback, investment, strategic partnerships and exposure are invited to apply online to have their company considered for the 2015 competition. The promising startups that are selected as finalists in the competition will present their early stage business concepts before a panel of industry experts, early adopters and educators, as well as a live audience at SXSWedu. Applications for the 2015 session will be accepted until November 7, 2014. To view the application and apply please click here. Download the LAUNCHedu Info sheet to see the 2015 LAUNCHedu eligibility requirements and learn more about the competition.